I live in New Orleans. Recently, I heard about the annual Easter “Keg” Hunt sponsored by a local bar. (No, I didn’t attend) Even though I’m not a drinker and don’t encourage alcohol consumption, I have to admit that I was impressed with the creativity. It got me wondering about other Easter traditions around the world. Here are just a few that you might find interesting. In Finland, children often decorate themselves with scarves and sooty faces and go begging in the streets with broomsticks and willow twigs. Many years ago in Bermuda, a local teacher attempted to explain the ascension of Jesus to his students by making a cross shaped kite and flying it with his students. 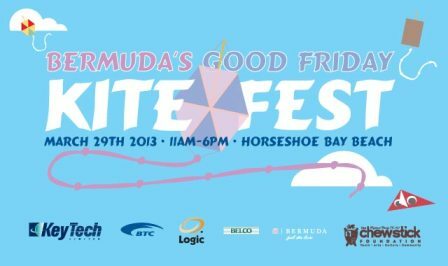 Ever since, families in Bermuda celebrate Good Friday by flying handmade kites. In 966 AD, Polish Prince Miesko was baptized on Easter Monday. 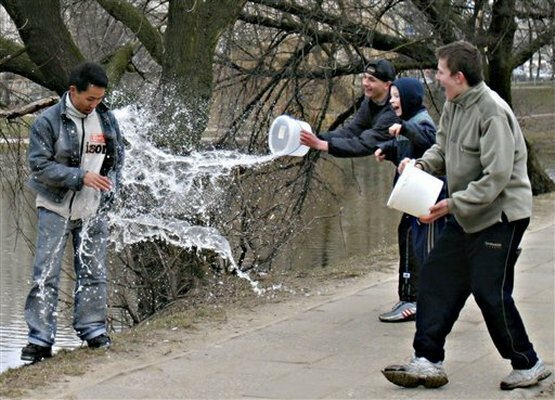 In honor of that event, Polish boys drench people with cool buckets of water. It is believed by some that young unwed ladies who are drenched will marry within the next year. In Colombia, people lay off the chocolates on Easter Sunday. 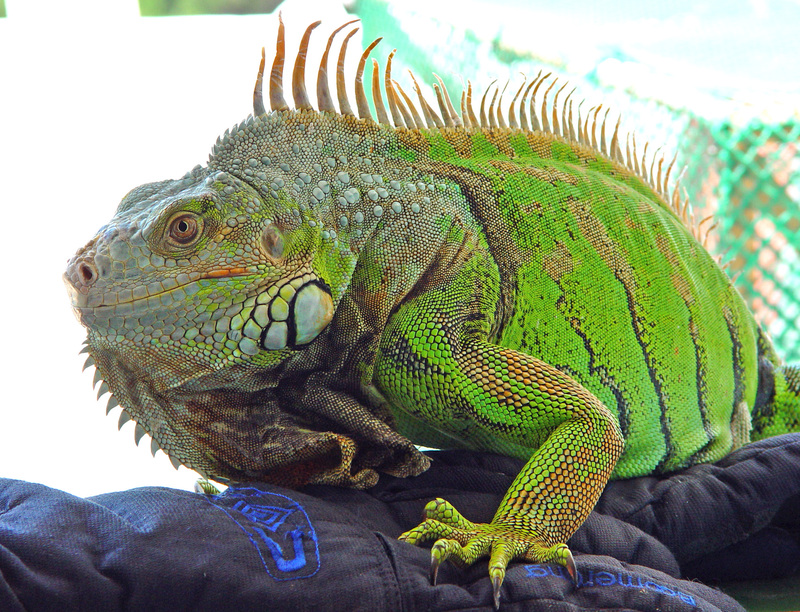 Instead, they enjoy a traditional dinner of iguana, turtle, and large rodents. On the Greek island of Corfu, people throw clay pots out of their windows on Holy Saturday. 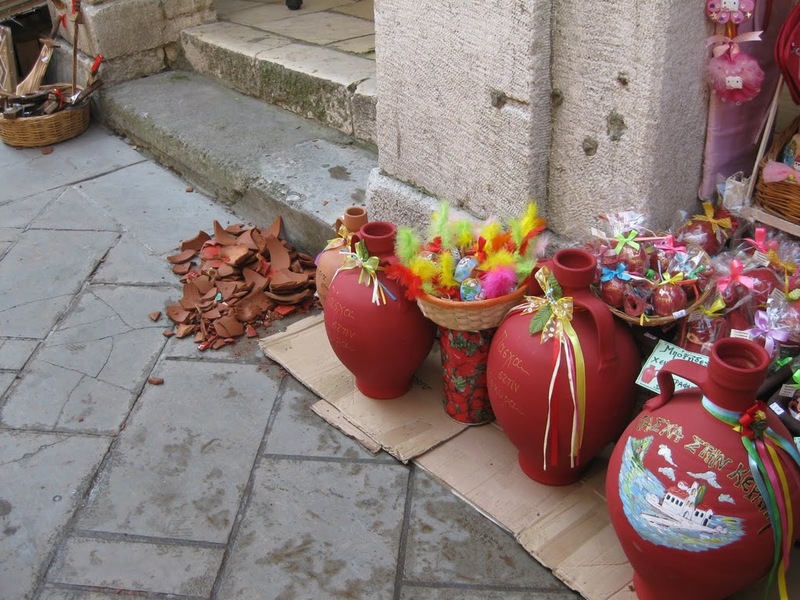 Some say the tradition comes from the Venetians, who used to throw out old pots on New Year’s day. 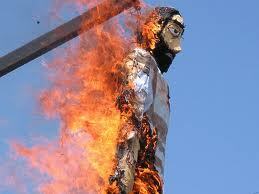 In some areas of Portugal, Spain, and Mexico, a stuffed character representing Judas receives a fake trial, is hung by the neck, and then is burned on or around Easter. Often, the Judas “dummy” is stuffed with fireworks so he blows up. Effigies of unpopular politicians are sometimes hung next to Judas. The more that I think some of these traditions are unusual, the more I wonder if what I do to celebrate the resurrection of Jesus is found unusual by others around the world. Is There Anything Truly Unique About Christianity?